Majestic lakes throughout New York State are much more than just a summer escape. They&apos;re the perfect place to spend the warm days and cool nights of autumn. Here are just a few of our favorite lakes for getting away from it all this fall. The 11 bodies of water known collectively as the Finger Lakes offer some lovely countryside, perfect for everything from outdoor adventure to relaxing retreats. 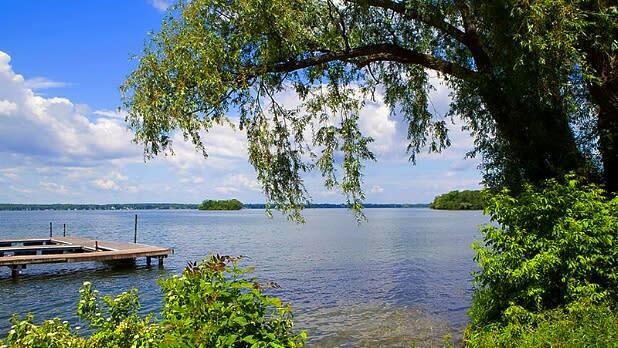 Lake Cayuga is the longest Finger Lake, reaching across three counties and standing out as a gem. The Cayuga Lake Wine Trail lines the shores of the lake offering stunning views and some of the finest spirits New York State has to offer. Twenty-three wineries straddle the shores of the lake, offering everything for wine lovers including tasting tours and seasonal events. Seeing Cayuga Lake from a distance is breathtaking, but there’s nothing like getting on the water. Whether you’re looking for a calm canoe ride or jet ski adventure, boat rentals on Cayuga Lake offer a variety of options. The towns surrounding Cayuga Lake offer bars and restaurants with local flavor. The Deerhead Lakeside restaurant and bar serves rustic tastes offering everything from seafood to hearty American BBQ. For those looking for some mid-day drinks, the Boathouse Beer Garden has hand-crafted microbrews to suit every palate, plus regular live music. There are plenty of places to stay when visiting Cayuga Lake in towns and villages that line the lakefront. The Cayuga Lake Inn - Ithaca Hotel Alt offers a luxurious view of the water with several rooms and villas to choose from. And stay in the Finger Lakes wouldn’t be complete without a glass of wine overlooking a lake, and the Inn is a picture-perfect spot for it. Less than a three hour drive from New York City sits North-South Lake, nestled in the heart of the Catskills Mountains. 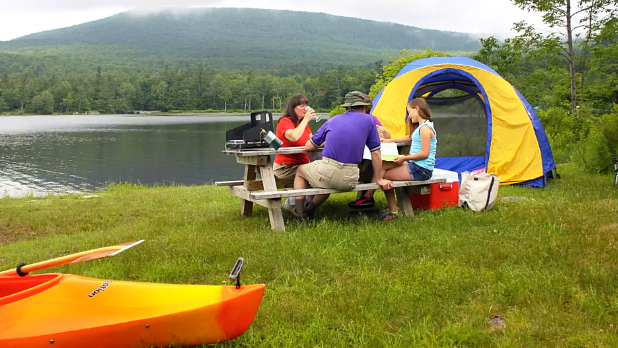 North-South Lake State Campground is one of the largest state campgrounds in New York with 219 campsites, perfect for a solo sabbatical or a family vacation. Rowboats, canoes, kayaks and paddle boats can be rented right at the campground - and it&apos;s open until October 21. Near by sits the historic Catskill Mountain House overlooking the Hudson River. Once one of the most famous hotels in America hosting U.S. presidents dating back to the 19th century. The House now serves as a scenic overlook of the surrounding area, just a quick walk up the Escarpment Trail. Hunter Mountain is just 10 miles away, and home to some of the state’s most exciting adventures, including exhilarating bike trails and North America’s longest zip line. It also hosts some of the best festivals in the area all summer long and into the fall with great music, food and culture. Once known just for outdoor adventure, today&apos;s Lake George is an all-encompassing vacation destination. From grand mountain summits to luxurious resorts, this gateway to the Adirondacks is a family favorite. Adrenaline junkies will go wild over the endless outdoor activities Lake George has to offer. Soar high above the lake with Parasailing Adventures, getting a bird’s eye view of the water. No experience necessary, just strap in and fly. On the water, boat cruises and boat rentals are offered on the large and small bodies of water throughout the region. Adventure enthusiasts can experience the thrill of whitewater rafting down raging, while toe-dippers can relax on one of the number of beaches. The Sacandaga Outdoor Center offers a wide range of experiences to choose from. The bustling town provides live local musicians, shopping, antiques and waterfront dining. 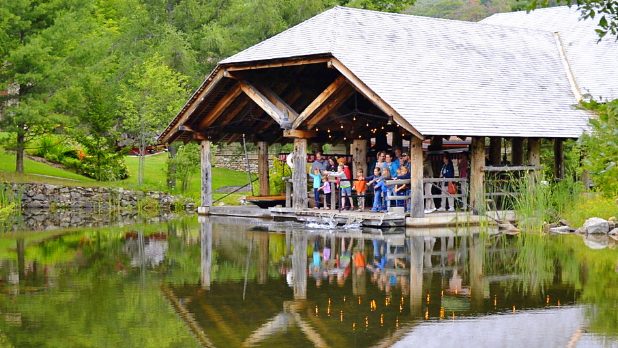 Experience the Adirondack flavor in unique shops and restaurants with locally made products, art, foods and drinks. 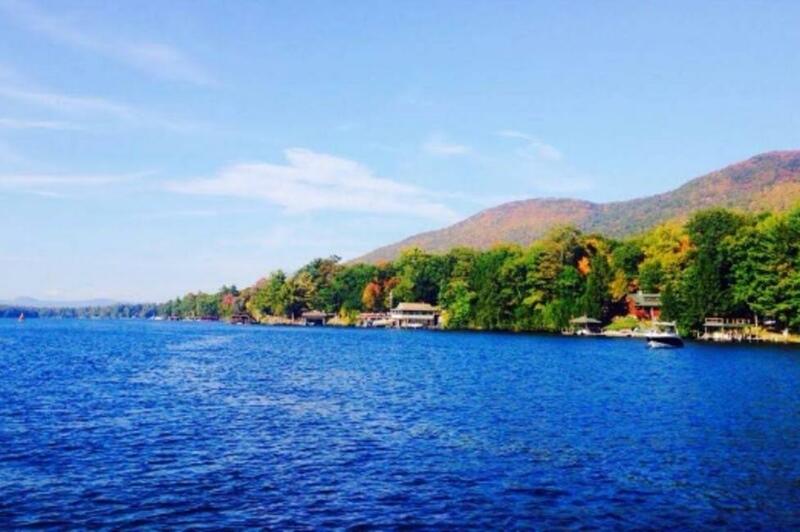 Lake George offers a variety of lodging options from campgrounds to lavish hotels. The Sagamore Resort in nearby Bolton Landing offers the perfect summer getaway. The hotel offers everything from lodge rooms to a castle-inspired luxury suite. This historic location is right on the lake, giving you easy access to the surrounding attractions - including the Great Escape, which offers family-fun days and nights through October.